Etta James, the legendary jazz, gospel, rhythm & blues, and soul singer, was perfectly positioned to reign as the supreme artist in the emerging soul genre of the '40s and '50s in America. No one ever doubted her talent, the highly distinctive and versatile nature of her voice, or her drive to succeed, and yet, she has been "woefully overlooked" in the history of indigenous rock and blues music in the United States. She is famous and recognized for several iconic hits with which she is eternally associated, such as "I'd Rather Go Blind" and "At Last", but her place in the pantheon of great soul artists is unsteady and not always instantly recognizable by those outside of a knowledgeable group of devotees. For the rest of soul music's listeners, mention of her name will result in a hasty inclusion into the inner circle of leading artists, as though James had been momentarily forgotten. Once the object of focus, however, she is revered as one of the titans of the genre, and those who had allowed her to slip from their minds are immediately reawakened to her powerful vocal and interpretive gifts. Such a vague position within the history of the form is partly due to a difficulty James experienced in crossing over to the white audience when others of the same genre were succeeding brilliantly at garnering a new, mixed race fan base. Further, her own abilities may have contributed to the phenomenon; Etta James excelled at almost everything she touched, from gospel and blues, to soul and pop. She could wound the listener with a ballad yet in the same evening "rock a house". In her various vocal incarnations, she triumphed as "a rhythm and blues belter, a blues crooner, and a rock-and-roll screamer" who could tailor her voice and her stage persona to seduce or abuse the listener. James' larger than life and highly forceful personality may have had a downside as well, as she searched for cross-over acceptance by doing everything that her colleagues were doing to make it happen but would not step far enough into the common ground where the entire spectrum of listeners could experience a sufficient level of comfort. 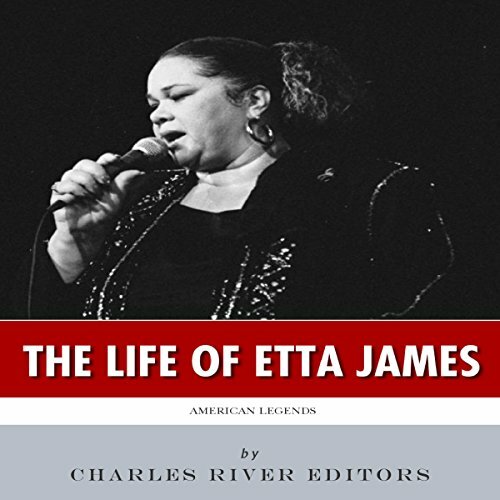 American Legends: The Life of Etta James looks at the life and career of one of America's most famous singers.